Are you looking for a truly unique way to capture all of the beautiful moments and details of your wedding day? Drone photography is one of the hottest trends of the year and it might be for you! Imagine an eagle eye view of your gorgeous venue, the ceremony site, and even your walk down the aisle. If you are considering wedding drone photography, you need to know a few things. These days everyone has access to drone technology, but that doesn’t mean you should enlist your cousin for your wedding. There are safety considerations, for one – a single slip and a wedding party member or guest could be badly injured. Further, just like hiring a professional photographer or videographer ensures the highest quality service, experience, and product, so does hiring a professional drone operator. There is artistry in expertise – and you deserve the best on your wedding day. The FAA has established a registration process and rules for the operation of unmanned aircraft for business purposes. When you are interviewing prospective operators, make sure that they have the proper FAA certification, that their equipment meets required standards, and that they are familiar with all rules governing the operation of drones as a wedding business. There are also, sometimes, local regulations that need to be honored. Ask if these apply to your wedding, and how they might impact your day. Operating a drone for business purposes requires insurance. Confirm that your prospective operator is properly insured against accidents that might cause injuries or damages. 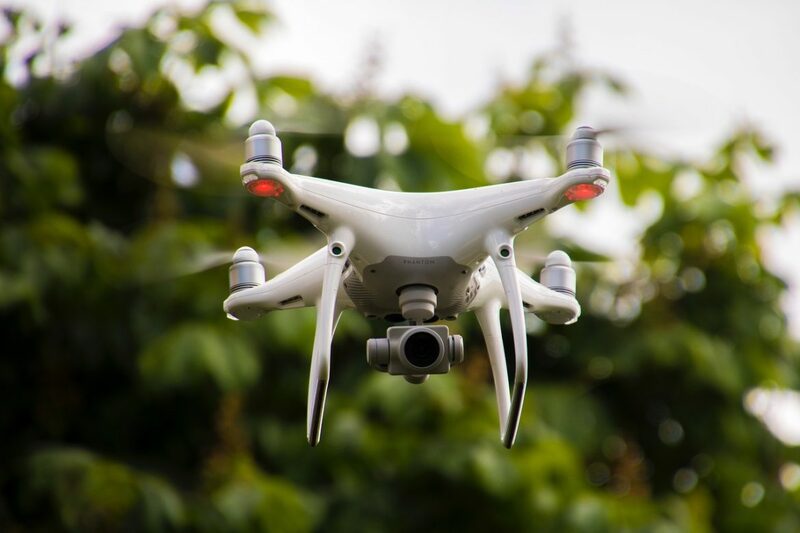 BRIDES points out that, as drone technology has expanded in popularity, wedding venues have had to develop their own policies to ensure the comfort and safety of all guests and visitors. Some are very open and welcoming, while others have to take into account the impact of drones on all of their operations. Have a conversation before you contract with an operator to ensure that there will be access for your event. Your drone operator and photographer (and videographer if you have one as well) should meet to coordinate how they will share the responsibility for covering your wedding. Drone close-ups, for example, are distracting and unsafe, according to The Knot, and should be avoided. Some shots are better taken by the ground photographer, and others are ideal for drones. So, you might ask your photographer to shoot the fine detail of your bouquets or your custom bridesmaid dresses, your videographer to catch the first look, and your drone operator to focus on a flyover of the ceremony site and take breathtaking views of your venue. Something you don’t think of until your wedding day is the sound impact on the ceremony. Drones are actually quite noisy. You don’t want to use them indoors where they will disrupt your vows. Drones are ideal for a bird’s-eye view of your ceremony, flying high enough that the sound doesn’t interfere with your event. Drone photography is one of the coolest new trends in weddings. Will you take advantage of this unique perspective on your big day?